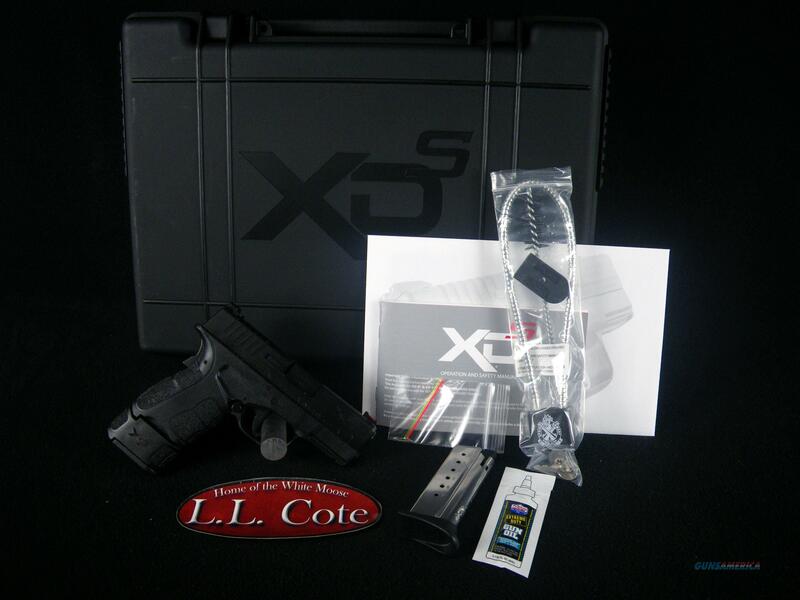 Description: You are bidding on a Springfield XD-S Mod.2 in 9mm with a 3.3" barrel. The next generation of the most popular pistol ever produced by Springfield Armory is now available in the most popular caliber with the introduction of the XD-S Mod.2 in 9mm. Since the release of the XD-S Mod.2 in .45 ACP earlier this year, Springfield Armory has engineered a pistol specifically designed around the 9mm round, resulting in a smaller frame and slimmer profile in this latest version of the XD-S Mod.2. With a frame less than 1-inch wide, the XD-S Mod.2 9mm disappears under even the lightest clothing. Built upon a time-tested platform, the XD-S Mod.2 in 9mm was designed to achieve maximum concealability while maintaining life-saving reliability when you need it most. The XD-S Mod.2 in 9mm survived a grueling 25,000 round torture test without a failure. This is an amazing testament to the quality of the pistol especially when considering its small size. Displayed images are stock photos. Any questions please feel free to ask (our phone number is in the additional information tab above).